Home Owners Can Call Today! Concrete is an incredible building material that offers a wide range of design possibilities. Options for form, texture, colour and style are nearly unlimited. Concrete is considered a green product, so it is environmentally friendly in addition to being unmatched for durability and resilience. At PMB Concreting, we take the time to listen to our customers and understand their vision. 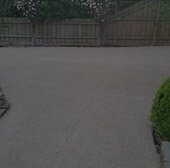 Whether we are creating a concrete countertop, a stamped patio or a commercial entryway, our customer’s unique style is reflected in the design. We strive to make the project experience enjoyable for all parties. Paul, the owner of PMB Concreting, has been in the masonry business for 15 years and is a skilled concreter. He holds a passion for construction and management from domestic to commercial. Paul has advanced training and knowledge on decorative concrete applications a specialty not held by many concreters these days. Looking for a concreter? a quick call away from some of the most passionate concreters around. With over 15 years’ experience in the masonry business, we are a skilled team suitable for all your domestic & commercial concreting needs. We take the time to listen to our customers so we can understand their vision. Whether you want a concrete countertop, stamped patio or commercial entryway, your unique style will be reflected in the finished product by a dedicated concreter. Providing the First-Rate Concreting Homes and Businesses need! At PMB Concreting, we have advanced training and knowledge on decorative concrete applications not held by many concreters – we’ll give you the top-tier service your property deserves. Our expertise includes exposed aggregate, stencil concrete, carport flooring, pool surroundings and many more. As an industry-leading concreter our customers are spoilt for choice when it comes to our wide range of quality designer concrete services. Our valued customers are amazed by our work, and we guarantee you will be too! 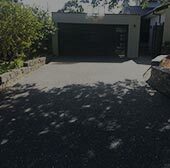 Our services don’t stop there – one of our specialities is concrete Driveways. 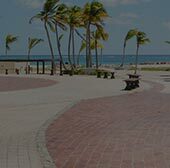 Home and business owners throughout the city and metropolitan area can rely on us for quality concrete driveways of all varieties. 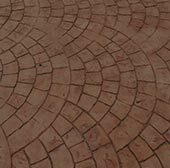 Stencil driveways, coloured driveways, stamped driveways and many more. The choices are truly endless. Maybe a more sandstone or cobble look is what you’re after? Maybe you need a concrete path, patio or extension to an existing structure? If you’ve got specific design in mind or don’t know where to start, the expert concreters at PMB Concreting will be of service however you see fit. Just give us a quick call on 0416 654 494 to chat about how we can help you. PMB Concreting are accredited building practitioners. We hold all insurances required by all building industry standards. Don’t just take our word for it – we provide a six-and-a-half-year structural guarantee on all works. We don’t cut corners. 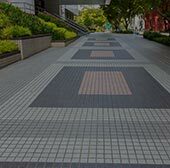 We will fulfil your expectation and go above and beyond your standards for any given project. Contact us today for an obligation-free quote for your concreting or high-pressure cleaning needs. 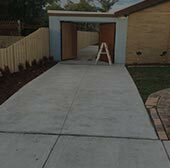 With the services of PMB Concreting, Melbourne home owners now have the answer to all their designer concrete requirements! Call Now On 0416 654 494 to book a concreter you can trust! Copyright © 2017- www.pmbconcreting.com.au - All Rights Reserved.